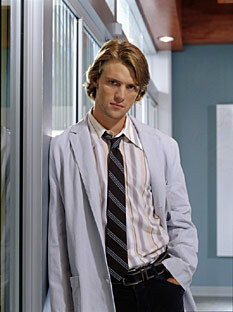 Jesse Spencer as Dr. Robert Chase. Tuesdays (9:00-10:00 PM ET/PT) on FOX. Mother died 10 years ago (from the first season) after his father left them leaving Chase to deal with her alcoholism. 26 years old or 30. House: "You don't give a crap about patients. Your paycheck. You've been double-dipping. Taking your vacation time here while drawing a salary in NICU. Strange. Rich boy doing all that for some extra cash." House: "But your dad was. Now he's dead. If you're not rich that means that daddy cut you out." A patient: "Did you always want to be a doctor?"